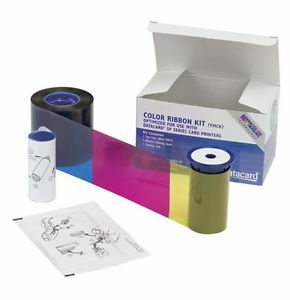 Zebra color ribbons consist of yellow (Y), magenta (M) and cyan (C) panels for printing a full spectrum of colors by combining the colors using varying degrees of heat. The K panel is a black resin panel, typically used for printing text and barcodes and the I panel is used to allocate areas of the card where dye is to be inhibited, such as signature panels, mag-stripes or foil applications. 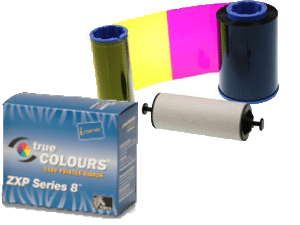 The ZXP8 color ribbon is design for use with the Zebra ZXP8 ID card printer, and must be used in conjunction with clear ZXP8 retransfer film.